As an entrepreneur you are always looking for the best ways to start and run a successful business. One avenue for opportunity that may not be frequently explored is the mall kiosk. You have probably seen plenty of kiosks whenever you have to make a run to the mall, but maybe you never considered the possibility for yourself or future business. Until now. This post will discuss some of the possible advantages to mall kiosks, like lower capital investment requirements, for savvy entrepreneurs like yourself. A huge advantage to kiosks over brick and mortar storefronts is the lack of long term lease agreements. That is especially beneficial for someone just starting to get their business idea off the ground, like yourself. There is no need to worry that if your business does not do well you will be locked into a contract for the next two years while unable to make ends meet. Many malls provide month by month contracts to retail sales businesses and almost all malls provide some sort of holiday long lease agreement. Holiday shopping season is a great time to test the waters, when malls see the highest traffic and customers are more willing to browse for something new and unheard of. The leasing flexibility a mall kiosk provides is unmatched anywhere else. Having your business located in the middle of a mall or airport is a huge advantage when it comes to getting customers. People are always hesitant to walk into an empty store. Kiosks are out in the open, however. People are much more likely to feel comfortable checking out your products up close if they are located in the middle of a busy walking path. It is a huge advantage to not have to worry about bringing customers into your store. This is a benefit only provided by business kiosks. Another benefit to the small model kiosk approach is the intimate customer service it provides. Because you do not have a large store where salespeople and customers alike can linger unseen in various areas, customers will receive better service. No need for worry that employees are shirking their duties by hiding behind a cash wrap, a customer that desires help need only ask. The inverse is also true. Many window shoppers look around a store, dodging employees as they go and walk out empty-handed. Using a kiosk allows for your employees to cheerfully approach customers who seem interested, which will provide you with excellent marketing research for long-term business growth. Remember though, to make sure they are not too pushy. Small kiosks allow for unparalleled customer service, as long as you train your staff correctly. This advantage is especially important if you are an entrepreneur without access to large amounts of funding. Kiosks, as opposed to brick and mortar stores, often provide you with everything you need to start making sales the day you open. The only cost you will have to worry about is rent. The rest is provided. Malls often supply their kiosk retailers with the kiosk itself, which includes storage and security measures, shelving for merchandise display and even a cash register. This benefit is unmatched. You will not be able to find a storefront that includes all these features for no added cost. Your monthly rent payment will include storage, security, and machinery. If you do not have a large start-up budget or you are one of those unlucky struggling companies, then a kiosk is probably your best bet. If you just want to test out a business idea you have, opening a kiosk is an excellent way to test the waters. 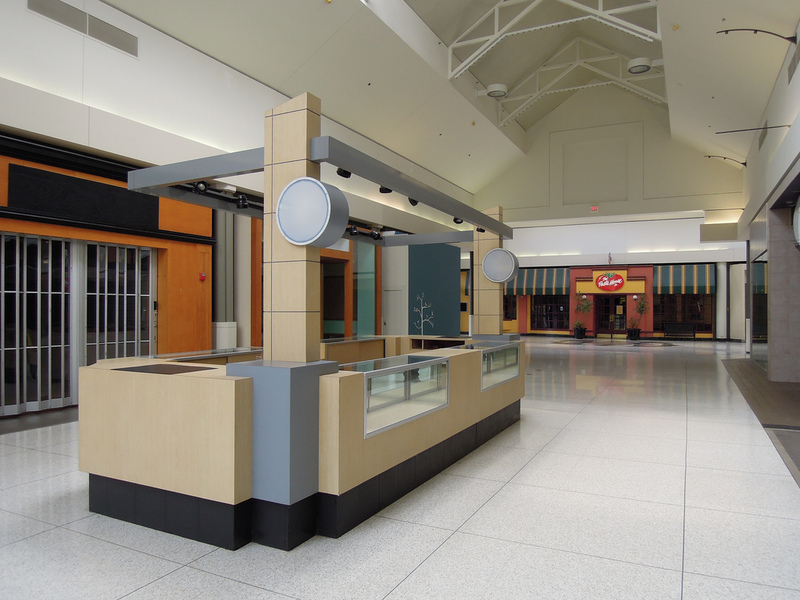 Mall kiosks can be rented for just a short two month span during the holiday season, which will allow you to get a feel for how your business would perform long term. This is especially true if you have a seasonal business idea, like Christmas ornaments or special Valentine’s Day baked goods. Mall kiosks give entrepreneurs the advantage of using seasonal contracts to test out business performance and retail sales. You and your venture partners may be able to test out the waters for your new business by trying out a mall kiosk. Instead of having to worry about being locked into a two year or longer contract, you have the benefit of seasonal or even monthly agreements. In addition, you will be able to provide superior customer service while paying little to nothing in start-up costs. If these benefits sound good to you, then you may want to do a little more pricing research specific to malls in your area. Each mall provides different opportunities and services, so visit as many places as you can before making your decision. If you are an entrepreneur looking to for a low-cost, low maintenance way to start your own business, a mall kiosk may be right for you. Consider these advantages before making your decision, and good luck!